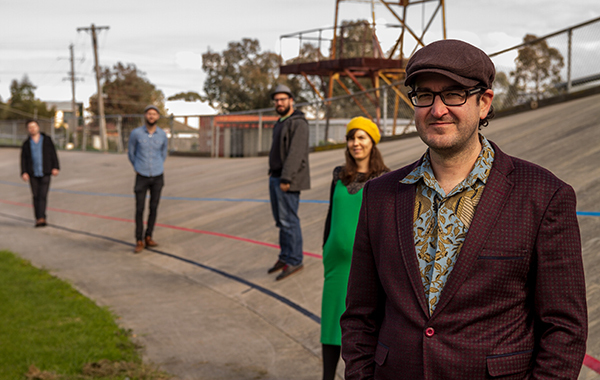 Cleverhorse is a distinctive five piece ensemble led by composer/guitarist Robbie Melville. The band also comprises Monty Mackenzie (alto saxophone), Gideon Brazil (tenor saxophone), Zoe Frater (electric bass) and Dan Macdonald (drums). Their second album 50:fifty will be released on the Jazzhead label, and represents a culmination of many years work. The music on the album is at times gentle and optimistic, unrestrained and animated, and is always guided by a positive empathy between the performers. It is informed in equal measure by contemporary jazz and Norwegian folk, the sonic space of Wim Wenders’ film soundtracks, the density of Shanghai city, and the sparse and playful writings of Richard Brautigan.